Lalla Salma, the (ex -?) Wife of King Mohammed VI of Morocco, was seen again for the first time since December 2017. Recently, very vague amateur images of the princess and her daughter Lalla Khadija appeared on the world-famous Djemaa el Fna in Marrakech, Africa’s busiest square. According to various Moroccan media, she was with her daughter Lalla Khadija on the famous Djemaa el Fna square in Marrakesh, where they would have eaten together in a restaurant. However, the unclear photos offer few clues. There is a lot of surveillance to be seen. Lalla Salma had not appeared in public since the end of 2017. Her absence only really caught the eye when the king underwent heart surgery in Paris and she lacked the family photos that were taken by his sickbed and subsequently distributed by the court. That triggered a whole stream of messages and rumors, mentioning a possible separation between Lalla Salma and Mohammed (55). 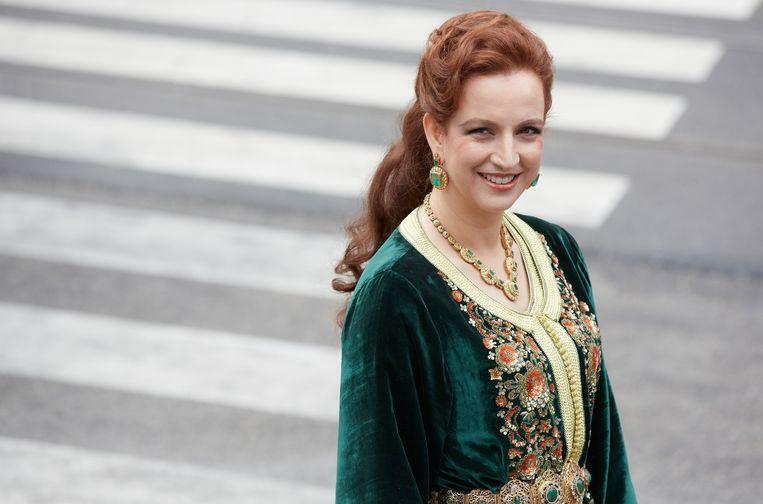 The Moroccan court has never issued a statement about the absence of Lalla Salma. Not even when she was not there when the Spanish royal couple and later the British Prince Harry and his wife Meghan came to visit. Lalla Salma, who received the title of princess, was the first wife of a Moroccan prince who was seen in public and also represented her husband abroad. In April 2013 she was at the inauguration of King Willem-Alexander.